Home>New Mixtapes>Q Da Fool Mixtapes> Stream Q Da Fool & Kenny Beats 6-Track Project "Bad Influence"
Kenny Beats is every the versatile producer he's touted. The Connecticut-born producer has shown a willingness to work with whomever, whenever - resulting in an exploration of the outer regions of hip-hop with his seeing-eye disposition. Q Da Fool is himself a bit of a rap vagabond, having grown up in the DMV only to find his footing in Atlanta through his association with Zaytoven on previous singles and projects. 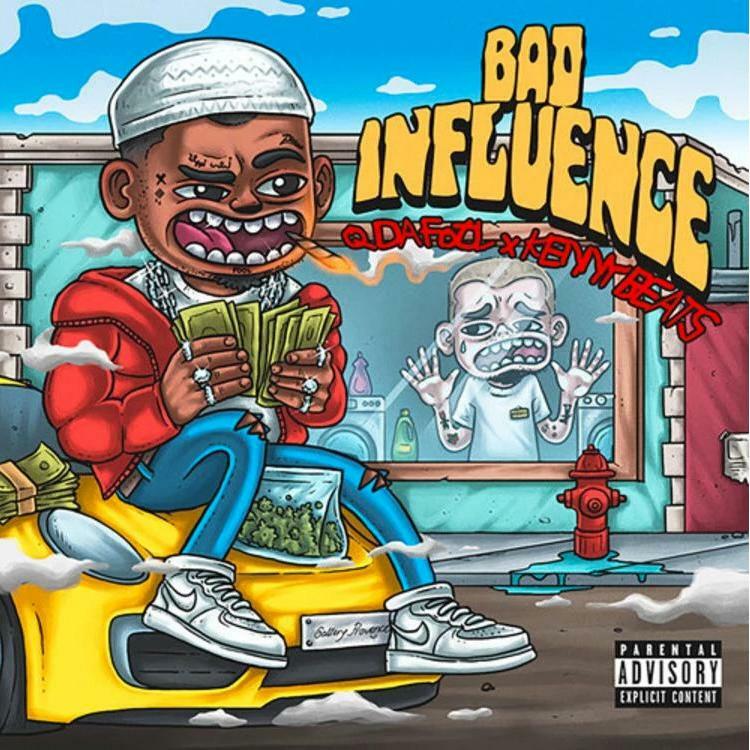 Bad Influence has been proposed to us as the natural successor to Q's Zaytoven-produced 100 Keys EP. Q is open to the idea that his single "Work" will soon become a viral sensation through @Official_Seth coordinated efforts. Needless to say, the #woahchallenge is a beast all its own. With Q Da Fool eager to prove his commercial viability following his signing with Roc Nation, the DMV-native is smart to venture out into the uncompromising World of Hip-Hop in short spurts, and with only the most consistent beatmakers, past and present, hot on the case. 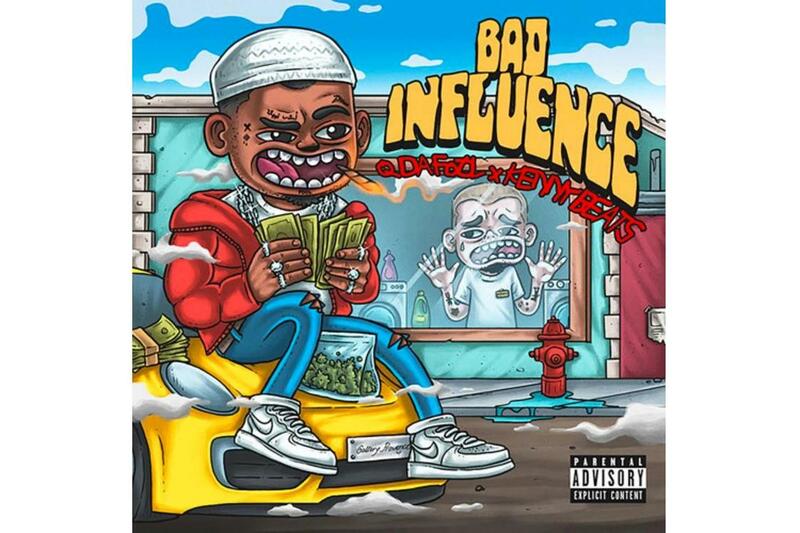 MIXTAPES Stream Q Da Fool & Kenny Beats 6-Track Project "Bad Influence"